Rihanna sports a dark gray fedora matching her outfit. 1 How Do I Reshape the Brim of My Akubra? Fedoras were very popular in the 1900s for businessmen. Nowadays they're worn by men and women. Fedoras are normal sized hats with sunken-in tops and varying brim lengths. Many people nowadays know it as the hat worn by Indiana Jones. Many people who buy a fedora want to put it on with style, by doing a fedora hat trick. There are many types of fedora hat tricks, but they have to be executed carefully and practiced many times for a proper outcome. You can use a forward twiddle at any time and place since it takes less space to do. Grab your fedora on both sides with the back towards you. Put pressure on the sides with your index fingers and spin it 180 degrees. Simultaneously bring it up towards your head. Catch it when the bottom of the hat is close to your head and prop it in place. A fedora flip is an impressive entry and exit anywhere. Its best to do this while you're walking. Just like the name sounds, its a way to flip your fedora onto your head. Hold the hat from the back. Put your fingers on the inside of the hat where the tag is. Put your thumb on the outside parallel to your fingers. Roll the hat down your arm so that the top of the hat is touching your forearm. Simultaneously bring your arm up to your head and pop it in place. A slight tilt will makes it look more fashionable. The Michael Jackson is a fun trick you can do it during a dance or for a dramatic entry or exit. Hold the hat by putting four fingers inside the back of the hat, where the tag is. Put your thumb on the outside of the hat. Position it so the top of the hat is facing upwards. Extend your arm to either side. Bend it at the elbow and bring it near your head, flipping the hat so the bottom of the hat is near your head. Simultaneously bend your neck making it easier to put the hat on your head and prop it in place. Do this very quickly for a better effect. 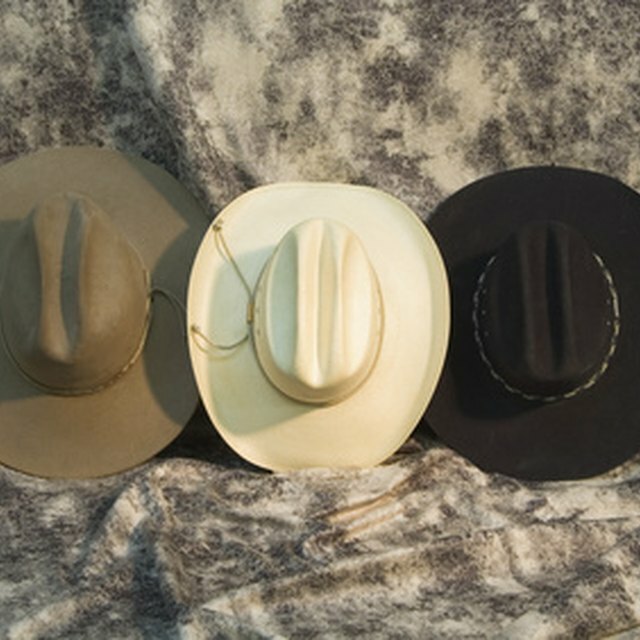 A foot to head hat trick is difficult hat trick, but its perfect for a theatrical appearance. Put four fingers inside the front of the hat. Push it upwards, making the hat rotate many times in an upward direction, parallel to the ground. When the hat is falling down, extend your leg so that it falls on your foot. Catch the hat with your foot and push your leg upwards, tossing the hat up towards your head. Bend your legs a little and crane your neck to catch the hat easier. Practice this many times before you attempt it in public.